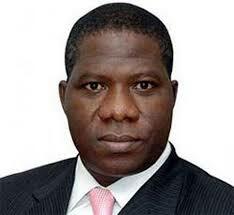 Labour party governorship candidate in the June 21 election in Ekiti, Mr Opeyemi Bamidele has vowed not to collect salaries and emoluments throughout his four year tenure if elected governor of the state. The former Lagos State commissioner made the vow on Thursday while campaigning at Igede-Ekiti in Irepodun/ Ifelodun Local Government Area. Bamidele, a member of the House of Representatives, said he would rather open a special account for his salaries and emoluments to cater for the vulnerable persons in the society. He said that his salaries and allowances at the National Assembly were being utilised to give succour to the needy and vulnerable in the society. “I have been blessed by God in all my areas of endeavours. “The best way to appreciate God is to give back to the people,’’ he said. While commending the current administration in the state for doing its best, Bamidele stated that he is in the race to do better things for the people of Ekiti. He also pledged not to seek a second term if he wins the election, saying ‘four years is enough for anyone to implement his programmes’. British Newspaper Mocks President Jonathan, See What They Did…. Flavour Finally Admits He’s The Father Of Anna Banner’s Daughter?! ?